Introducing my new team, Shijiazhuang Ever Bright! Shijiazhuang Ever Bright Football Club (simplified Chinese: 石家庄永昌; traditional Chinese: 石家莊永昌; pinyin: Shíjiāzhuāng Yǒngchāng) is a professional football club that currently participates in the Chinese League One under licence from the Chinese Football Association. The team is based in Shijiazhuang, Hebei and their home stadium is the Yutong International Sports Center that has a seating capacity of 38,500. Their majority shareholder is the Hebei Ever Bright Real Estate Development Co.,Ltd who own 70% of the shares of the club. The club was established as an amateur club named Xiamen Dongyuhang (Simplified Chinese: 厦门东屿行) on January 4, 2001 and initially played in Xiamen within the Fujian province. The club would play within the amateur leagues for several seasons until they established themselves as champions of Fujian Province in 2009. This would then lead to the club playing in the China Amateur Football League where in 2010 they claimed a runners-up spot. After this result on February 25, 2011 the club was reorganized as a professional football club when Smart Hero International Trading Limited (骏豪投资有限公司), Xiamen Dongyuhang Import & Export Co., Ltd. (厦门东屿行进出口有限公司), Xiamen City HS Sheng Industrial Co., Ltd. (厦门协晟工贸有限公司) and Xiamen City Shengxin Metal Products Co., Ltd. (厦门金盛鑫金属制) invested 10 million Yuan into the club. The name of the club was changed into Fujian Smart Hero, they moved away from the Xiamen Sports Center Stadium into the Longyan Sports Center and appointed Zhao Tuqiang as their manager. Within their debut professional season they played in the China League Two division within the 2011 league season where their home uniforms were yellow tops and black shorts. Fujian in their first season would win promotion to the 2012 China League One division via the League One relegation play-off which Fujian beat Guizhou Zhicheng 6–5 in a Penalty shootout. In the 2012 China League One campaign Xu Hui was appointed as manager and he would lead the club to a third-place finish. This saw Hebei Ever Bright Real Estate Development Co.,Ltd. interested in the team and they bought 70% shares of the club, which officially went through on January 18, 2013. 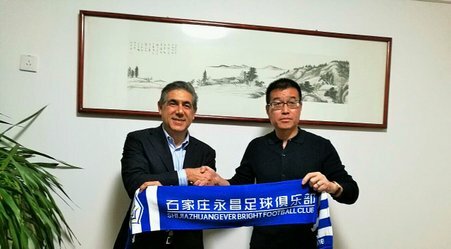 The club moved to Hebei Province’s capital city Shijiazhuang into the Yutong International Sports Center, changed the clubs colors to blue and the teams name into Shijiazhuang Yongchang Junhao F.C. (Simplified Chinese: 石家庄永昌骏豪足球俱乐部). On December 27, 2013 The Yongchang Real Estate Development Group (永昌地产开发集团公司) bought the remaining 30% shares of the club and on February 24, 2014 Shijiazhuang Yongchang Junhao F.C. changed their name to Shijiazhuang Yongchang F.C. (Simplified Chinese: 石家庄永昌足球俱乐部). In the 2014 league season Shijiazhuang Yongchang won promotion to the top tier in the first time in their history when they came runners-up within their division. The clubs first act within the top flight was to change their English name to Shijiazhuang Ever Bright F.C. (while their Chinese name still remain as 石家庄永昌) in January 2015. 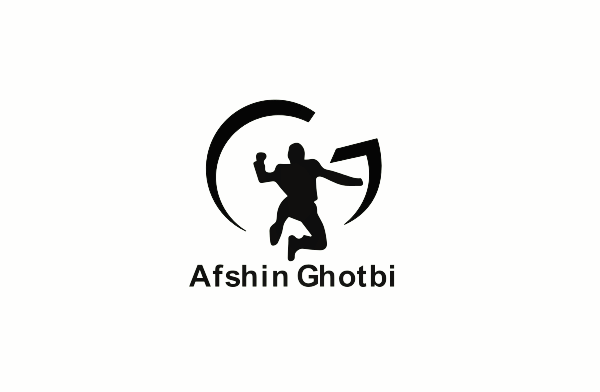 Welcome to the new afshinghotbi.com. We are happy to launch our upgraded site integrating the most popular social media applications and traditional website bringing us closer together. We hope we can create a platform to stimulate dialogue, challenge boundaries and raise football awareness. Please be patient with us, as we will experiment with new formats and topics. We hope to share stories that will inform, intrigue and inspire you. We have asked football friends and experts around the world to share their knowledge and experiences with you to bring perspectives rarely shared. Thought provoking interviews, short films, and photos to bring you closer to the touch lines tackling pressing issues of the modern game. Thank you for your continual heart felt love and support.